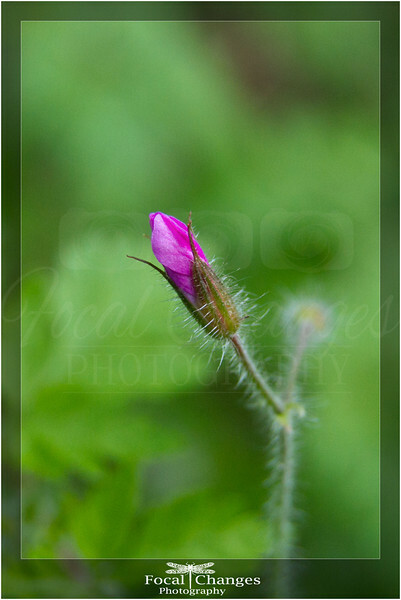 This is a weed called “Herb Robert” or sometimes “Stinky Bob” and it’s a member of the geranium family. In traditional medicine it’s used as a remedy for nosebleeds and toothache when brewed as a tonic and if the leaves are crushed and rubbed on your skin, it’s said to repel mosquitoes. I may try that as mosquitoes think I’m really tasty! There is a patch of Herb Robert growing alongside my driveway and it just started to bloom with it’s lovely pink/purple flowers. I have a love for weeds. Maybe it’s because I like a much less “groomed” look or maybe it’s because weeds find a way to survive and even thrive despite all efforts to eradicate them. I think perhaps that joy of finding beauty in unexpected places and in plants deemed less worthy and less attractive in general also makes me enjoy them. I do admit, though, that I draw a bit of a line at blackberries. The flowers and fruit are wonderful but the thorns are vicious and they are hugely taking over parts of my yard. I’m going to have to hire someone to rip them out as I don’t go for poisons, especially since we’re on a protected wetlands. Ugh. I’ll make jam this fall in revenge!